If you are considering a destination wedding, then you are probably faced with the difficult task of finding the perfect location as there is thousands of locations to choose from. You can make the decision very easy for yourself if you consider getting married in Cabo as Los Cabos has so much to offer. A Cabo wedding will provide natural beauty, which is perfect for a wedding. You and your guests will have breathtaking views of the sea, the El Arco rock formation, along with the mountains and desert. When your guests find out that they will have the opportunity to attend your wedding in Cabo they will be thrilled as they can explore Los Cabos before and after your wedding. Here are a few of the top reasons you should be getting married in Cabo. Getting married in Cabo is perfect because of the weather. Weather is always a worry for the bride and groom when you are planning your wedding, because nobody wants to be soaked during the wedding or reception. Cabo is home to sunshine every day, year round, so having bad weather is very unlikely. You can have your Cabo wedding on the beach anytime of the year and have great weather. You and your groom can exchange your vows on the soft sands where romance will be alive, which will make the perfect wedding that you will never forget. 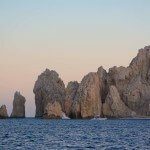 Cabo is a very popular and sought out vacation destination, so there are many easy ways to get to Cabo. There are airports that have direct flights from just about any location, so you and your guests can get to Cabo with ease and have a wonderful time when getting married in Cabo. 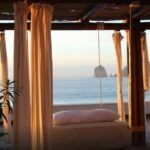 There are a variety of fantastic luxury hotel accommodations in Los Cabos that are perfect for getting married in Cabo. 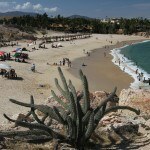 Los Cabos is a top travel destination worldwide, and this area of Mexico has really grown due to the thriving tourism. 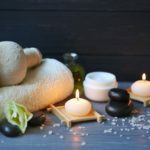 It doesn’t matter what type of hotels your guests are interested in they will find them as there are 5-star hotels, boutique hotels, all-inclusive resorts, and so much more. You and your guests will be impressed with the many options. If you choose to get married in Cabo, you will be able to reflect on your special day with happiness as the settings for the photos will be fantastic. Cabo has beautiful sights including the desert, mountains, and the beautiful beaches and waters that are ideal photography settings. If you choose to get married in Cabo you will make the best decisions in your life. 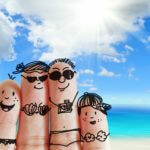 Share the post "Getting Married in Cabo"